If you are looking for bad credit money lenders, there are several options that you will need to consider. 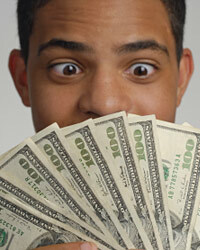 Here are a few different kinds of bad credit money lenders. One of the most common types of bad credit money lenders is a cash advance merchant. These establishments are also known as payday lenders. Basically, you are going to take out a short-term loan and then repay the lender with interest. Most of the time, the only thing that you have to have in order to get this type of loan is a job. If you have bad credit, another place that you could potentially borrow money from is a pawn shop. Pawn shops typically make loans for amounts less than $5000. With this type of loan, you are not going to have to have a certain credit score or even a job. This type of loan is going to be secured with some type of collateral. Another place that you could check out is a car title lender. With this type of lender, you are going to be required to provide them your car title in return for the money that you need.